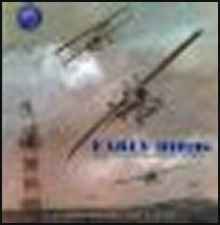 In 1909 the Short Brothers, Horace (1872-1917), Eustace (1875-1932), and Oswald (1883-1969), constructed the First Aircraft Factory on the Isle of Sheppey of the coast of Kent UK. They had been making Wright Flyers under license but then designed their own "Shorts". No 1 was made for C.S. Rolls (of Rolls Royce fame) No2 was made for John Brabazon. 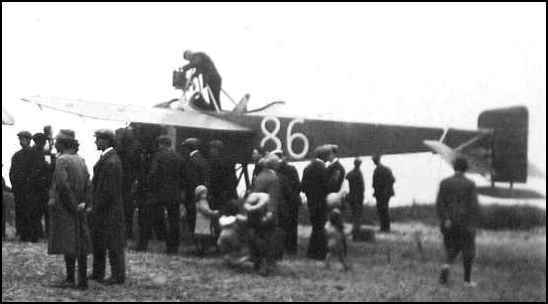 It was this aircraft that Brabazon on 30th October 1909 flew the first circular mile at a height of 20 feet.. The factory was situated at Mussel Manor Near Leysdown and was visited by the Wright Bros in May 1909 and they were conducted to the site in the very first Rolls Royce Silver Ghost driven by C.S.Rolls. In November 1909 the factory moved to larger premises at Eastchurch, a mile or so away. These are in current use as H.M. Prison Eastchurch! It was from this factory that the Short Bros. embarked on their major role of making seaplanes. It was in 1915 that a Short type 184 was the first aircraft to sink a warship with a torpedo. The original factory at Mussel Manor is still there, hidden behind a holiday camp, and contains some very early photographs of C.S. Rolls, Wilbur and Orville, Brabazon and the Short Bros.
ONLINE RESOURCES Using the Google search engine on "Short Brothers" +aviation, (1-7-06), you will find about 12,900 links!! A good starting point is at the following website. The Pioneers : An Anthology : Oswald, Horace and Eustace Short You will find an extensive collection of information, complete with links to the original sources, on this website. You can access it by clicking on the title above. 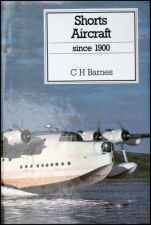 Part of the Historic Sheppey Series of books, this is a short history of how flight came to Sheppey and its early development. From the "Founding Fathers" connection to Shellness, near Leysdown, to the outbreak of the First World War and the first use of strategic bombing. Published to accompany an exhibition, it is a short glossy book with lavish illustrations, providing an easy read and good potted history. If you search on the title, you will find numerous sources of this book, both new and used. The prices begin at about $22. I would like to make a request of Air Britain members from a fellow society. Recently Committee members of the Short Brothers Commemoration Society travelled to Hampstead NW London to view the memorial/graves of two of the Short brothers. The grave was in a shocking state and very dilapidated. The S.B.C.S would like to contact any surviving members of the Short family to seek permission to renovate and look after this memorial. Would Air Britain members have knowledge of the where abouts of the family or the way that we could trace them and gain their pemission. Our Society fill that this is a worth while project, if possible to look after the grave of Britains aviation pioneers and our heritage.